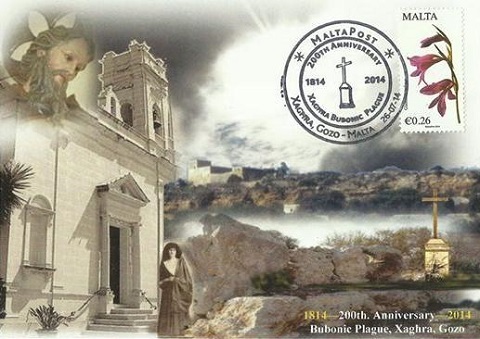 On the occasion of the 200th anniversary of the Xaghra Bubonic Plague, Malta Post issued a special postmark. 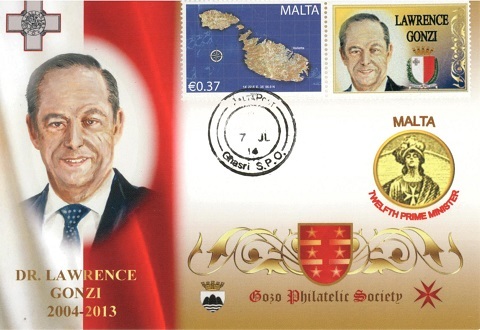 The Gozo Philatelic Society issued the shown commemorative card with a special postmark in a limited edition. 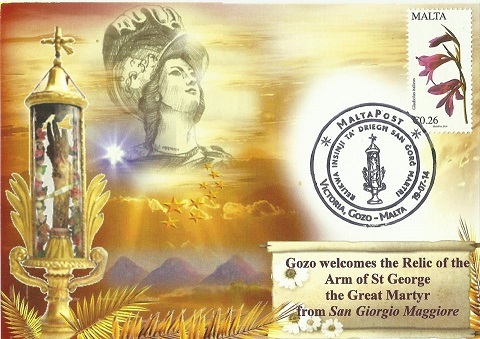 Gozo welcomes the Relic of the Arm of St George the Great Martyr from San Giorgio Maggiore, Venice. 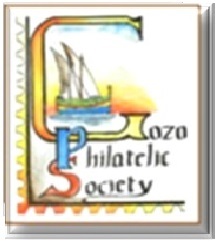 On this occasion the Gozo Philatelic Society issued this card with a special post mark in a limited edition. On July 2014, the Gozo Philatelic Society continued issuing the monthly series of personalized stamps showing the Malta's Prime Ministers (since 1921 Self-Government).